Sony. I’m going to go into a breakdown in a second but seriously: Sony. This does not come from a fanboy, I have never owned a Sony console before. It should be pretty obvious from my previous posts that my personal favorite is Nintendo. However, of the three console manufacturers, Sony clearly had the best overall presentation. Does that mean Nintendo and Microsoft sucked: no. This has been a great E3 overall with many exciting announcements. Below are the highlights as well as my reasoning process in determining Sony as the winner. Microsoft highlighted their E3 presentation with what had been sorely lacking at the Xbox One reveal: games. A short list includes Battlefield 4, Call of Duty: Ghosts, Destiny, Dragon Age: Inquisition, Thief and Watch Dogs. Microsoft’s best highlight went beyond just touting their upcoming game library. Without a doubt, the reason anyone is talking Xbox One right now (in a positive light anyway) is to discuss the console’s strong opening list of exclusives. In total, seventeen exclusives were unveiled for Microsoft’s next generation system. True, some games like Titanfall are only console exclusives (the game is also coming to the PC) but still that is a huge list for Microsoft to be proud of. If Xbox One can manage to hold onto these exclusives, they will have no trouble finding people to buy their system… if (talk more about this a little later). 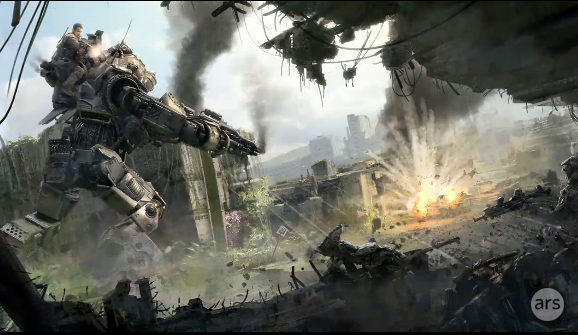 Titanfall comes from the creators of Call of Duty, arguably the most influential game developers of the past ten years. The fact that it is skipping the PS4 is huge and not to be overlooked. Nintendo had no surprises for anyone this year. Their upcoming game library is heavy on the 1st party support and light on the 3rd party. Audiences were treated to first looks at Mario Kart 8, Super Mario 3D World, Donkey Kong Country: Tropical Freeze, Sonic Lost World, Bayonetta 2, and Super Smash Bros. What, I said it was predictable, I didn’t say it wasn’t good. Yes, Nintendo is still looking lousy with the third party support but they have survived on their own development teams ever since the Nintendo Gamecube. With a lower price tag than the other two systems and the most freedom (with regards to used games and no DRM) Nintendo is looking in good shape to finally fix their Wii U selling problem… you know, once the games are actually out. 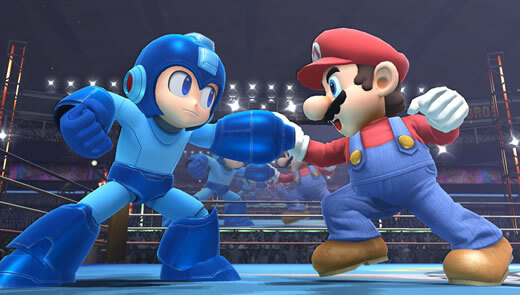 Mega Man highlighted the first three newcomers to Super Smash Bros. If that doesn’t make you want to own this game than I don’t know what will. Okay… so I shouldn’t have to say much about why that was unacceptable. But crap like this is the reason I am writing my articles and why millions out there are also writing and educating and trying to make a change. It’s not okay. If you think: “ah, all in good fun” – yeah, it wasn’t meant maliciously but right now that doesn’t matter. Here’s an idea for this guy: how about you teach her to play next time beforehand. Or what – did he not want to get embarrassed by a woman in front of millions of people? The presentation in question where the incident occurred. Note: this had absolutely nothing to do with Killer Instinct. Not a video game’s fault that that guy is a jackass. Okay, last bad thing: no further plans from either Sony or Microsoft to support backwards comparability. Hope you enjoy your PS3 and 360 cause you’re not going to be able to get rid of them. This is the best argument for returning to the PC: every time they upgrade a computer, you don’t have to re-buy all of your old games. Seriously, why is Nintendo the only one supporting this? I didn’t talk about Sony’s press conference under the good. I would have except it would have made this section redundant. Yes, right now Microsoft is leading with overall video game content (their exclusives can’t be ignored). Sony doesn’t have much in the way of exclusive game content right now… but that doesn’t mean it won’t change. Here’s the thing about exclusives, they don’t always stay exclusive. Remember when Rayman Legends was a Wii U exclusive? That changed before the release. Why: because the Wii U isn’t selling well enough to warrant Ubisoft taking a profit loss to release a game exclusively for it. Game developers want to make money. That’s what drives everything. Right now the Xbox One has a lot of exclusives and some of those it can hold onto (the ones made by companies directly owned by Microsoft) but what about the other ones? They didn’t do a great job of it last generation. Remember Mass Effect? You can enjoy that on the PlayStation 3 now. Point is, the Xbox One needs to be successful right out of the launch. If it isn’t, Microsoft may very well lose a lot of their “exclusives” to Sony. 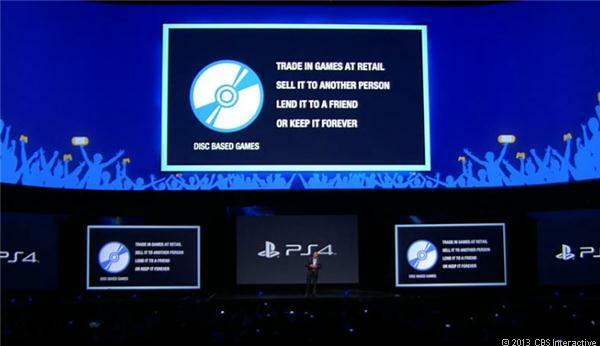 I should point out that it will be hard to beat PlayStation 4 at launch for two reasons: first off – MONEY! While the Xbox One will cost $500, the Sony PlayStation 4 will only cost $400 (and the Wii U currently costs $350 at maximum). This means the Xbox One will be the most expensive system this generation. Last generation the Sony PlayStation 3 was the highest costing and their launch was… not great. Sony’s K.O. 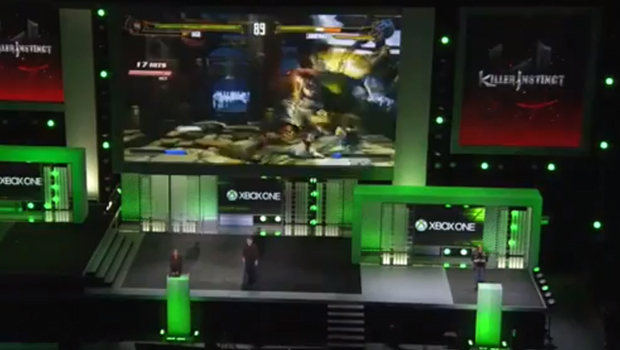 punch of E3 2013. I know, that was way too nerdy… I’ll stop now. 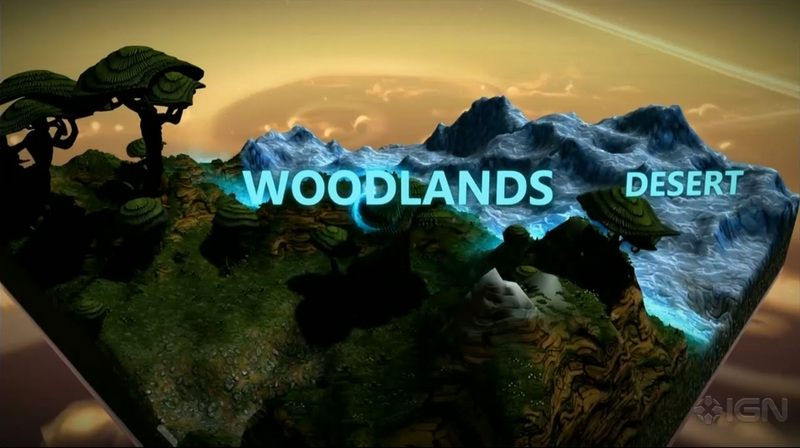 Side note: Project Spark seems to be the most intriguing game that no one is talking about. I recommend everyone go on Youtube and check out the videos, it looks really cool! 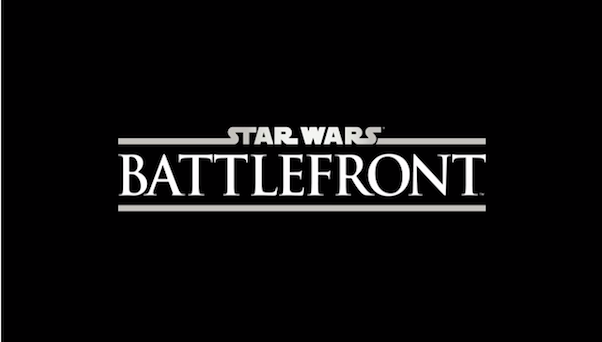 Further side note: there is a new Battlefront game coming. Awesome.